Jeanne Naomi Manster, born 11 Oct 1913, married Sam Beloff, born 19 Aug 1904, on 19 Jan 1943. Her mother was Bessie Rivka Gillick, born 1889 in Ostropol and died 25 Jun 1939. 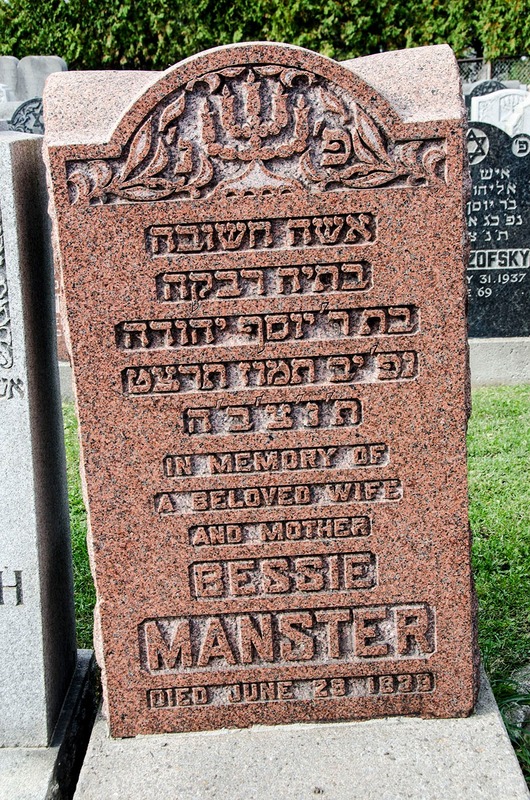 From Bessie’s gravestone, I found out that her father’s name was Yosef Yehuda. How is he connected?